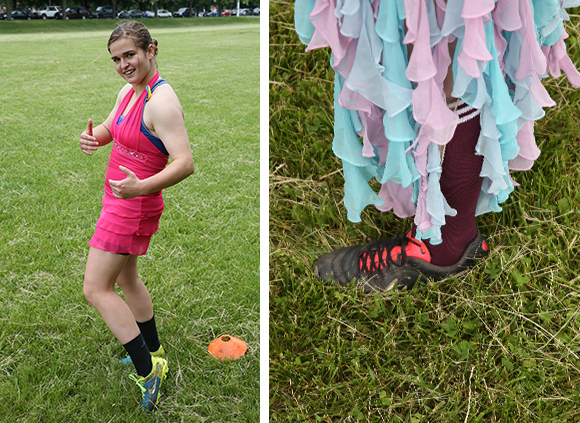 How do you guarantee someone an internship? 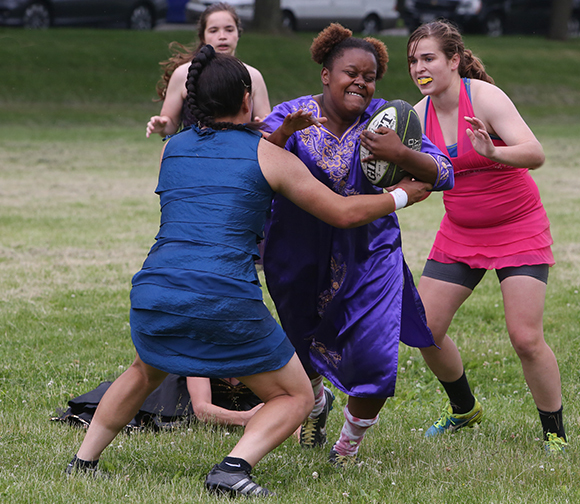 Women’s rugby team defeats alumni, except no one was keeping score. 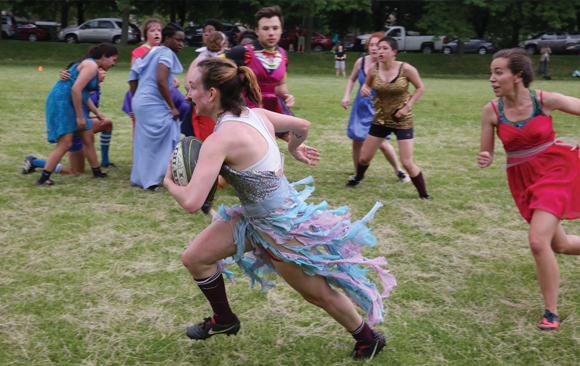 Prom dress rugby has been a tradition at UChicago for “at least a decade,” says Chloe Pfeiffer, Class of 2017, incoming captain of the women’s rugby team. 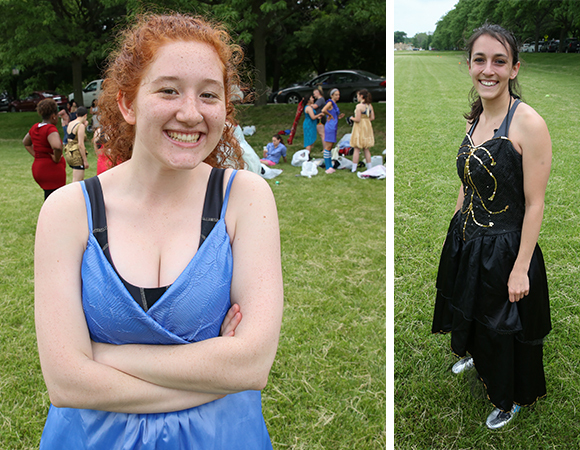 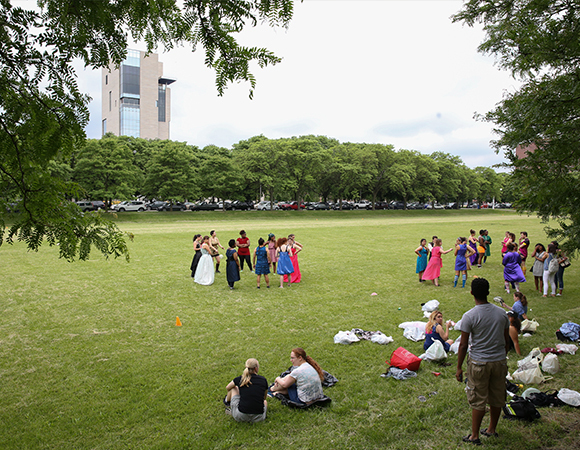 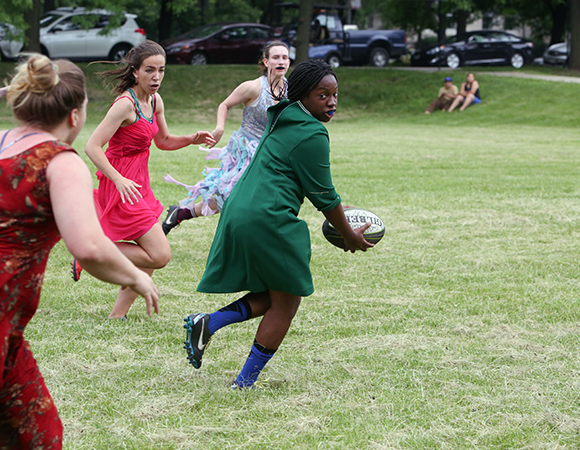 “No one my age seems to know.” Prom dress rugby games are not just a UChicago thing, she says, but are played at many colleges and universities with women’s rugby teams. 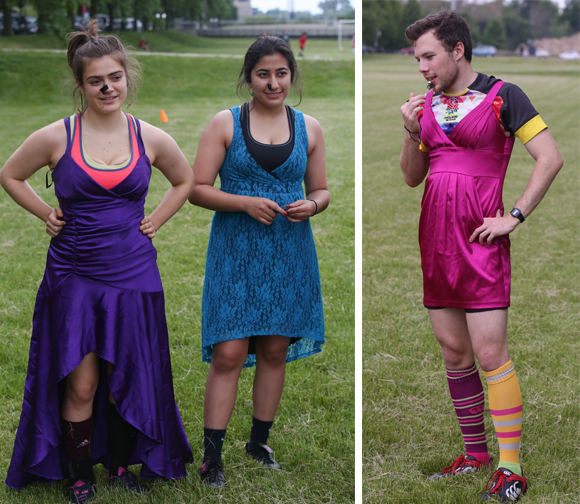 For two years running, prom dress rugby has been a students vs. alumni game scheduled during Alumni Weekend. 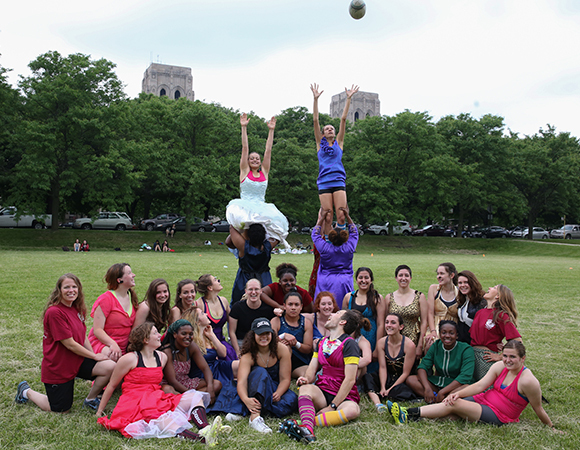 There weren’t enough alumni for a team this year, so rookie players filled out the alumni side. 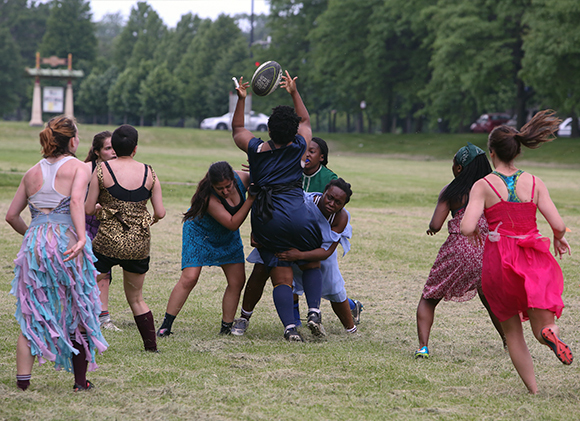 “I have no idea what the score was. 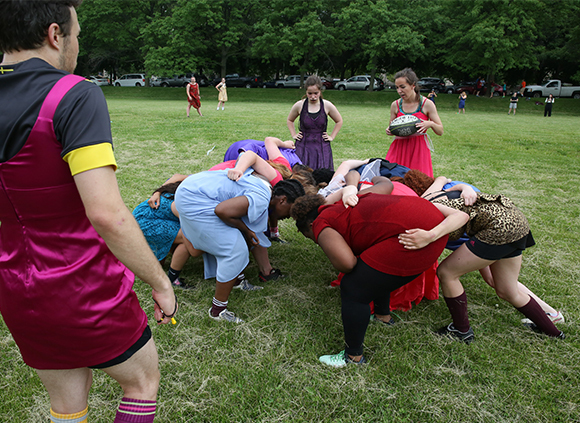 I don’t think we were keeping score,” Pfeiffer says, but the student team “definitely won.” The referee, a volunteer from the men’s rugby team, wore a scarlet minidress.